Imaginarium Convention in Louisville has been my favorite event of the year since it began three years ago, and every year it gets better! It’s the best-run, most organized, yet most relaxed, friendly, and welcoming writer’s convention I’ve ever attended, and on top of that, it’s fun and accessible to not-just-writers, too, since it offers gaming, a film festival, live entertainment, and a free vendor hall in addition to its excellent array of panels and workshops on everything from poetry to documentary film writing to speculative fiction to music. I literally can’t say enough good things about Imaginarium. It’s not just the folks who run it (who are awesome), but the whole atmosphere that makes it magic. Everyone involved, from the staff to the panelists to the attendees, is generous with their time, knowledge, and attentiveness. Truly a special thing in today’s world. 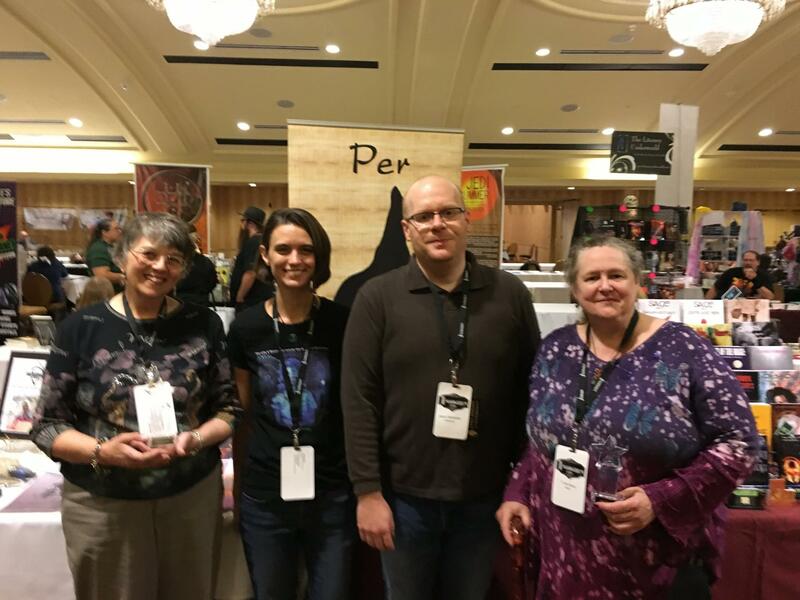 This year was also special because Per Bastet Publishing, which I am now marketing director for and which is one of the event’s sponsors, came away with two awards! One went to Marian Allen (who happens to be my mother) for doing a fabulous job promoting the event. 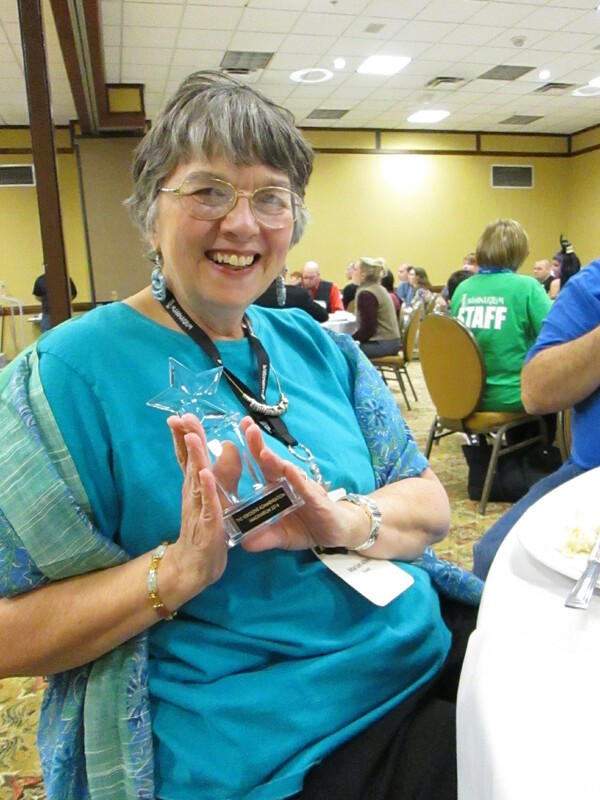 The second, the Sizemore Award for small press excellence, went to the house. 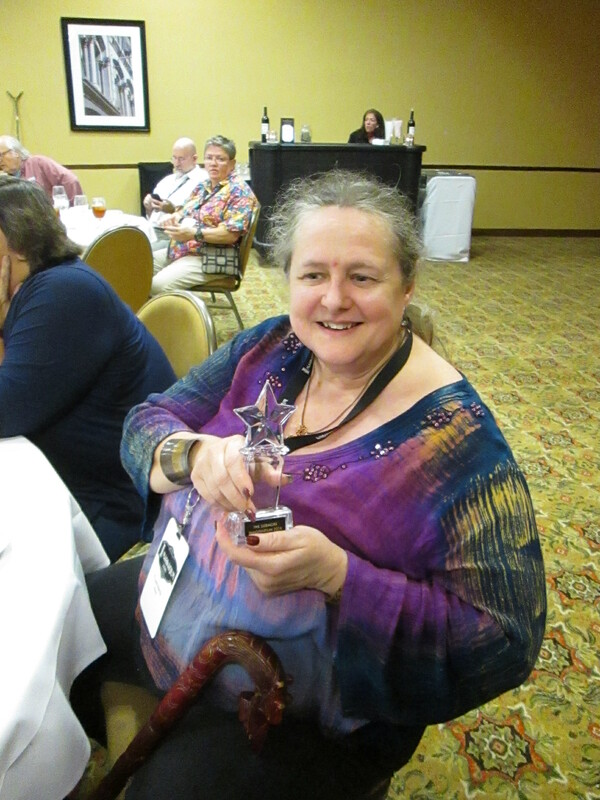 T. Lee Harris with Per Bastet’s Sizemore Award! Per Bastet with Jason Sizemore, award namesake and super-nice guy! Third day of the convention = complete exhaustion, but we’re happy on the inside, I assure you!